If you are looking for close up magicians London has so many to choose from so how do you know who to hire? Close up magic is one of the purest forms of magic, performed inches from your eyes with nowhere to hide, Magician Roger Lapin can perform miracles for any event you are planning in London. With a unique repertoire a sharp sense of humour he has recently entertained guests in Richmond, Ealing, Greenwich, Central London, Islington, on the London Eye and at many other party venues in London. If you have never booked a magician before and are not sure of the process simply use the Contact Page to get in touch. Tell Roger for what event you are thinking of having a magician and a rough number of guests and he will give you a personalised quote. For corporate dinners, banquets or an event where all your guests are seated for a meal, a table magician will move between the tables performing a 5-10 minute set depending on the number of guests and the time available. If you are looking for a London Table Magician for hire Roger can move between tables performing his close up magic to the seated guests. Roger is equally at home performing as a Table Magician or a Close up Magician mingling with guests at a drinks reception or private party. Pictured above Roger is performing some table magic for Gillian Taylforth at the Dorchester Hotel. Roger Lapin is one of the finest Magicians in London, treat your guests with some amazing interactive Close up Magic. 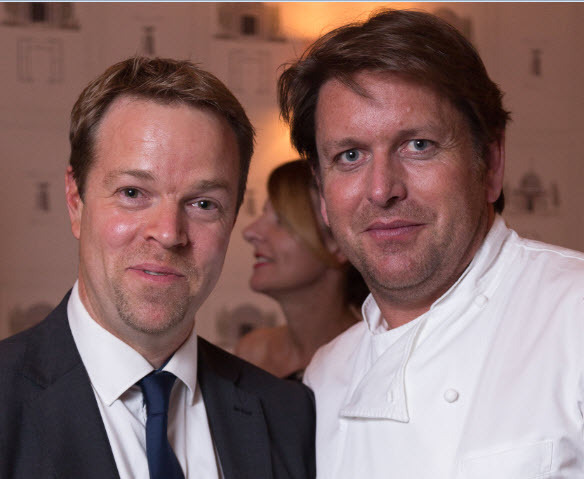 From corporate entertainment to private parties Roger will ensure all of your guests are amazed so you can relax knowing the entertainment is in the hands of a professional with over 15 years of performing experience. If you are having a Birthday Party, a Private Party, a Christmas Party or just a Party! A Magician is the perfect entertainment to keep all your guests amused. Roger regularly performs at parties in London. If you are having a 21st, 30th, 40th, or 50th birthday party. There are many different party entertainers, but we think a Party Magician is the perfect entertainment. Roger’s favourite magic performance is as a Christmas Party Magician as spirits are always very high and a great time is had by all. 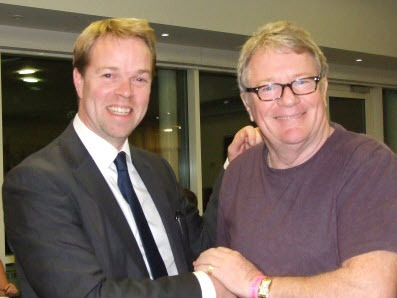 If you need more Magicians London has plenty to choose from and Roger can book them on your behalf. Allow 1 magician per 100 guests for a 2 hour performance. If you want to hire a Magician for a Party you need to consider how many guests and how long you would like your magician to perform for. As a rule of thumb we recommend 1 hour per 30-40 guests. 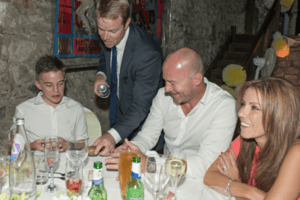 Working with small groups of guests seated or standing, Roger can perform his unique repertoire of close up magic to your guests during a drinks reception, or after dinner parties. If you are looking for a close up magician London has so many to choose from, so make sure you hire one of the best magicians in London! For corporate dinner entertainment ideas a close up magician could be the perfect choice. 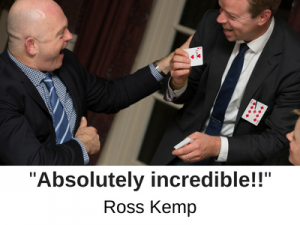 Roger has performed across central London for the last 15 years and can advise on your event and if you are expecting over 200 guests he can also book other magicians in London to cover the event – please allow 1 Magician per 150 guests for a 2 hour performance. Roger entertained our guests at Andrews 50th and was the topic of conversation with them for weeks after – THE PERFECT ENTERTAINMENT! If you are planning a private party at your house and are looking for some unique entertainment ideas then why not book a magician? 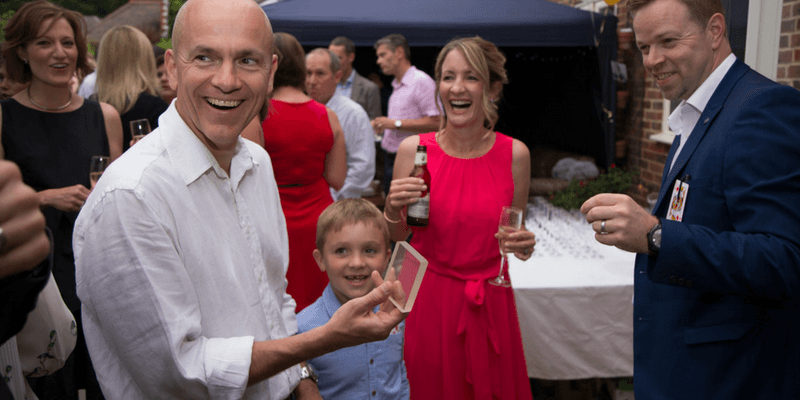 Roger Lapin has performed at many house parties across London and can guarantee all of your guests and amazing magic performance. 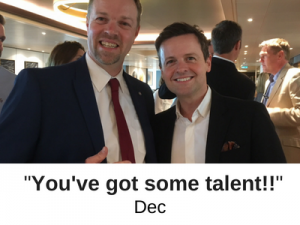 If your private party in London has high profile guests for which you require discretion and a professional performance Roger regularly performs in this environment and can offer your guests whoever they are an amazing evening of magical entertainment. 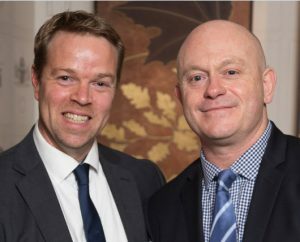 Roger is a member of Equity and carries public liability insurance of £10,000,000 and is more than happy to sign any nda agreements. There are so many magicians for hire in London, why should you choose Roger? Area you looking for a magician who performs at weddings? 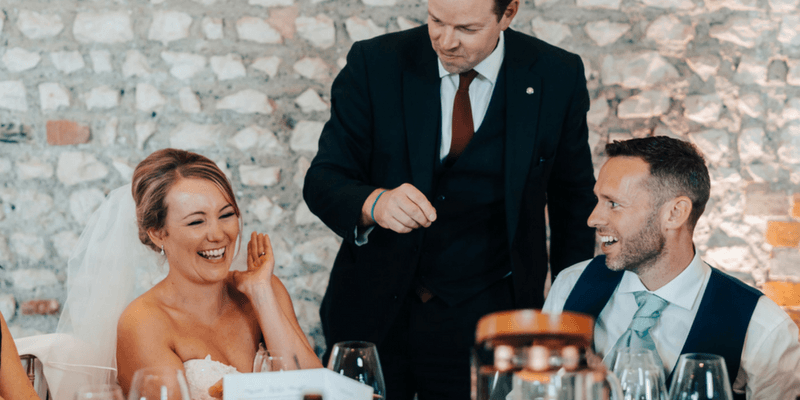 Roger Lapin has been performing close up magic at weddings in London for many years and can guarantee you an incredible performance that will amaze all your guests. 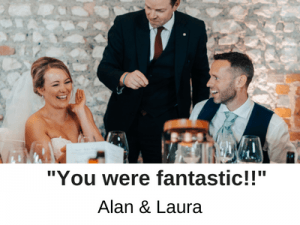 If you are getting married and looking for some amazing wedding reception entertainment – London Wedding Magician Roger Lapin can perform during your photos, during the wedding breakfast or into the evening celebrations. He will ensure all your guests get to see some close up magic whilst you can relax knowing that everyone is being entertained. Roger will keep your guests entertained while you are having your photos taken and will then perform a short routine to each table during wedding breakfast. Depending on guests numbers and time available each table will usually get to see between 5-10 minutes of magic. If you are expecting extra guests for the evening why not treat them to some magic as well? Roger is more than happy to take a short break after the wedding breakfast and then resume the magic for your evening guests. If you are planning a black tie event or looking for after dinner entertainment, Roger can perform at your corporate event. If you are looking for a private performance rather than mix and mingle magic, Roger can perform an intimate close up / parlour magic set to your guests. This works best in side room of a hotel or in your house where there is a set number of guests watching the show. 10-25 is a good number of guests for this and the magic show usually lasts between 45 minutes to 1 hour. If you are arranging an event and would like to have a magic show and wish to sell tickets, i.e for a charity event or fundraiser, Roger will perform his show and has a lot of experience in this area. Or are you planning a trade show and looking for something to bring clients to your stand? Working as a trade show magician Roger has increased the footfall onto many stands over the years and is happy to speak to you about making the most of your stand and getting the most clients onto your stand as you can. Do I need more than one Magician? 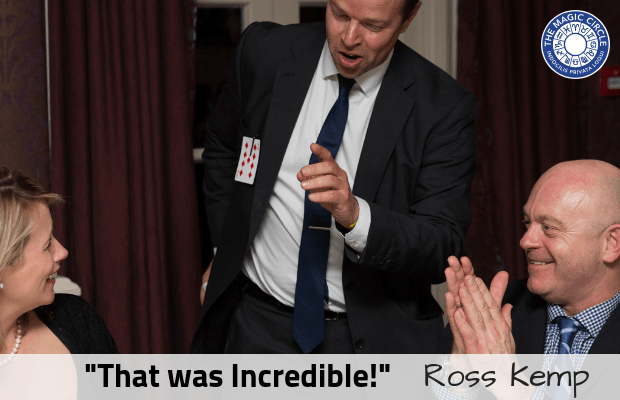 If your event has over 150 guests then you are going to need to hire more than one magician to ensure everyone gets to see some magic, Roger knows many other magicians in London and can hire them on your behalf. For a typical 2 hour performance please allow one magician per 150 guests. So now the big question is how much will it cost? Roger charges by the hour and prices are dependent on where and when your event is. For a personalised quote simply call or email Roger let him know how many guests you are expecting at your event and I will give you specific price for your event. It all depends on what day your event is. Is it an afternoon or evening performance. As a rough guide £250 for the 1st hour then £150 for every consecutive hour. Allow 1 hour per 50 guests. Roger will move around your party from room to room entertaining groups of guests with short 5-10 minute performances. For this performance you don’t have to worry about a thing Roger will arrive and just start performing, he does not require any room and can operation from his pockets. The Magic Room This performance requires the use of a room where there is nothing else going on and the door can be shut. This room will be called the magic room and your guests will be given a ticket with a time on it to enter the magic room. Roger will then perform a short routine to the small group of guests 4-8 guests are the perfect number. They will enjoy a private performance out of the way of the noise of the party. Once the performance is over they will be sworn to secrecy to not reveal what happens in the magic room. This will provide an air of mystery and guests will not know what to expect. Typically at a private party your guests will see Roger moving between groups of people and will see some of the tricks being performed, this way nobody knows what to expect. The magic room can be added onto the end of a straight performance if required and a separate performance would occur in the room as to what is happening in the main party. This could either be some kind of psychological magic or a gambling routine depending on your guests. Cabaret Magic The final option is a cabaret performance, this would require an area where Roger can setup or a stage depending on the party venue. The performance would usually be 45 minutes and would require everyone to watch. This works well for some parties depending on guest numbers. If your party involves a meal and you are looking for some after dinner entertainment then this could be the perfect option. Again this could be combined with a straight performance of table magic or close up magic and or the magic room. 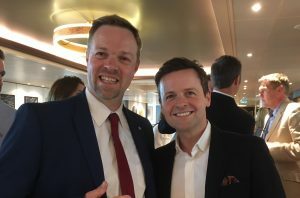 All of this can be discussed with Roger to find the perfect performance for your private party in London find the perfect performance for your private party in London. So if you are looking for corporate entertainment ideas London has a lot to offer and we would recommend a Magician! You are Frying my head!